Our interview series on the need for data and information on community health workers (CHWs) continues. This week, we have a special post from Lesley-Anne Long, Global Director of mPowering Frontline Health Workers on how much data is needed, what kind, and how it can help strengthen health systems and support CHWs at scale. mPowering Frontline Health Workers is a public-private partnership focused on ending preventable child and maternal deaths. 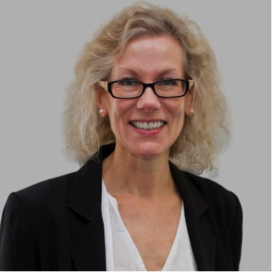 As Global Director, Lesley-Anne provides strategic leadership to mPowering and coordinates across mHealth, maternal and child health advisors, program implementers, government officials, private sector, NGOs and others focusing on sub-Saharan Africa and South Asia. A former family law barrister, and Dean of a Faculty of Health & Social Care, she has a strong track record of academic publications in law, global health and child rights. A quick look at any 2015 global health calendar of events reveals continuing interest – some might say an obsession – in two topics: ‘scale’ and ‘big data’. Let’s look at scale first. Why, after years of expert consideration, thoughtful research and a global health community focused on a shared goal, have we spectacularly failed to scale up community health worker (CHW) programs (with a handful of notable exceptions)? What are the challenges to scale and, more importantly, what can we do about them? – Systems and tools designed to be used by thousands and in some case millions of users. Seems straightforward. But consider this. The quality and supervision of CHWs varies widely, and their training is routinely ineffectual, inappropriate and infrequent. CHWs are often burdened by unfeasible workloads yet may be under-valued by their communities, other health workers and Ministries of Health. Add to these challenges the fragmented activities of the global health development players – where collaboration is vital but consistently fails to move from rhetoric to reality, and where funding so often ring-fences aspiration for impact. It’s hard to see how scale is ever possible. Can smart use of data offer solutions to these challenges? Is the reason that we’ve failed to scale simply that we haven’t collected the data we need to make great decisions to reach more health workers, more effectively? Could the right data generate new insights and unlock the barriers that block progress towards our goal of scale? And if yes, what is the ‘right data’? Do we need more data on data? We’re increasingly hearing about the importance of data (especially ‘Big Data’) for better decision-making. Many believe that applying the insights of big data in developing countries could help NGOs and governments solve some of their biggest health challenges. But can data really help scale-up CHW programs? Perhaps it can, but not on its own, and here’s why. The challenges to scale outlined above are not data-related, they’re human-centered. They require effective communication, relationship-building and shared aims. If we want to improve the quality of training, we need to provide CHWs with relevant, quality content. And train the trainers to help deliver better learning outcomes. If we want to go to scale but focus simply on quantitative statistical data, with little or no qualitative information about the priorities and perspectives of CHWs themselves, we’ll fail to tackle human elements (inequalities in professional development, support, and pay) that will help us achieve our goal. Is data the super-highway to scale? Increasingly, the opinion of the global health community is an emphatic yes. Accurate and consistent health workforce data on CHWs is seen as the foundation for improved decision-making, better national dialogue on health workforce development and increased potential to scale up CHW programs effectively. In its 2014 report, A Commitment to Community Health Workers: Improving Data for Decision-Making, the Frontline Health Workers Coalition sets out a compelling case for documenting country-level data on CHW numbers and the services they deliver. In other words, the more we know about CHWs, the more likely it is that governments can develop national strategies to train, support and integrate these critical health workers into their national health systems. From data to scale: what’s needed? Investment in national CHW databases – for documenting numbers, deployment and services – will be an important step for governments on the road to scaling their CHW programs. Such databases would enable national decision making and global analysis of comparative data across countries, as well as help chart global trends and progress over time. Exploit the exponential opportunities that mobile technologies offer. Mobiles can automate data collection, disease surveillance, improve accountability, and strengthen the interconnections between health workers, health facilities and health ministries. Promote effective coordination, via shared information networks and common standards. Interoperability frameworks such as OpenHIE can be used to identify shared information resources (such as health worker registries), inform policy planning and potentially trigger the financing needed to scale up community health programs. Global health development is a complex and dynamic field. A strong health system requires effective leadership, governance and accountability mechanisms; adequate financing; sufficient supplies and equipment; robust infrastructure (including information systems) and a well-trained, motivated workforce from the community level upwards. Data can document and chart many of these, but measurement does not equal meaning. Data can flatten and simplify the landscape, and reduce lives and needs to numbers. The danger is that data is the ‘Instagram’ of development – capturing a moment, but failing to tell the story behind it. Good decision-making and getting to scale needs quality information and data. So let’s count CHWs by all means. But let’s not forget to listen to them as well. Yeah! 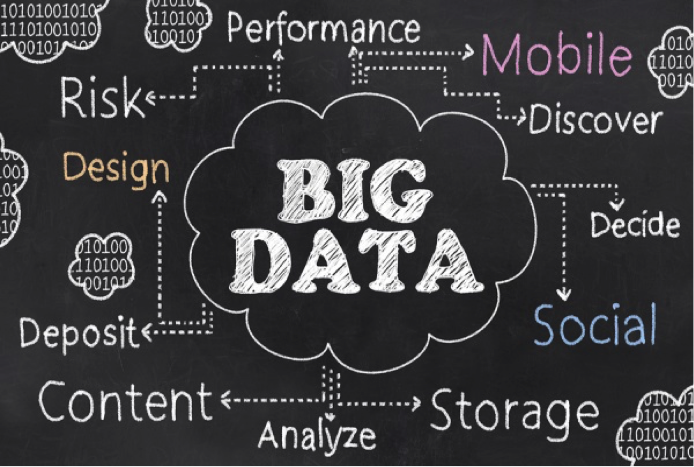 Big data has a lot of capacity to profit organizations in any kind of industry, ubiquitously in world. it is a useful to decision-making and helpful to improve the financial position of any organization. Informative sharing. Thank you so much for taking the time to read our blog and offer such a thoughtful comment. We appreciate your continued support for CHWs and would like to encourage you to participate in our Data for Decision Making E-Chat on http://www.hifa2015.org.